Why trade show exhibit rentals are best for your business? A string of outstanding promotional benefits are offered by Trade show exhibits rentals as it is a very lucrative way of showcasing the products and the services offered by the company. While participating in a business fair or marketing convention, a trade show is really helpful to network with thousands of people present and also generate business for the company by displaying the services and the products in a very effective way. Besides it also helps one create on-the-spot sales. Moreover with a very low investment companies can make huge profits and therefore companies consider this advertising as one of the best sound business investment. 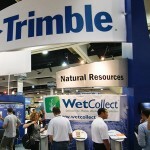 Although trade show seems to be the best marketing technique in marketing conventions, there are some companies who are reluctant to spend money and time on brainstorming a design and working closely with a vendor to create an appealing trade show display signifying the company’s product line and services. But if your company is in a dilemma whether to go for trade show or not, think again. Renting trade show exhibits is the perfect promotional solution for your company. Using trade show exhibit rentals is not only cost-effective but also involves the benefit of convenience. Instead of draining of in-house resources and staff to pack and move the trade show supplies, a fully-prepared model arrives at the venue and is displayed on the behalf of the company without any problem being faced. Hence you get everything ready and you need not worry about anything. Another factor is the relatively small price that you need to pay for such a big promotional move where sales opportunities are innumerable. Besides being convenient, trade shows provide unconditional flexibility to participating companies. A company can without any hurdle attend numerous sales conventions throughout the year. Moreover the companies can also enroll for participation in different job fairs, campus recruitment sessions and various other events. Renting trade show display helps them have a customized option for each and every event. Moreover many vendors provide an array of designs and floor plans to rent for a specific duration where you just need to decide which kind of model you want for your business trade show and leave the rest to the vendors. Not only this, renting a trade show display is also a perfect choice if your company is looking forward to complement already built trade show exhibit design. The trade show supplies in Orlando includes items such as shelving, collateral racks, used exhibition stands, chairs, tabletops and many other things. It is up to you which items to select and which not. This will help you to get a customized trade show display for your business also making the kind of visual impact you want to leave on your audience. No matter where you are placed on the marketing spectrum, hiring trade show exhibits is the best idea of risk-free involvement. From a regular participant to a seasoned event attendee, renting the trade show exhibits proves to be an ultimate option for everyone. Moreover one also gets the flexibility to ‘try before you buy’.